If you love history, then you’ll love our article about the most amazing scuba diving finds! What do you expect to find in an underwater expedition? Besides beautiful coral reefs, amazing sea creatures and breathtaking ship ruins? 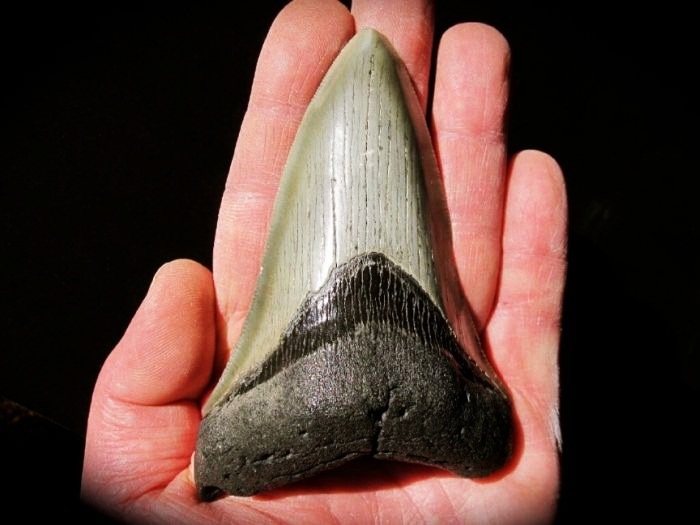 Well, we bet you did not expect to find Megalodon’s tooth, a fighter jet or … an entire city. And we begin our top list with this super sized shark tooth. While diving in Florida, off the coast of Venice Beach, a scuba diver found something that happened to be this terrifying tooth. The shark tooth was about 3 times longer and 4 times wider than other ‘regular’ shark’s tooth. The discovery was analyzed, experts saying it probably belongs to the Megalodon shark, a gigantic shark from the prehistoric area. Well, the tooth sure had the features : robust structure, triangular shape, very large size, fine serrations and visible V-shaped neck. Those teeth can measure over 7.1 inch.